CGCC Hosts “Special Reception: Working Together - Building Business” in New Jersey - China General Chamber of Commerce - U.S.A.
On August 22, China General Chamber of Commerce – USA (CGCC) and Commerce and Industry Association of New Jersey (CIANJ) jointly hosted “Special Reception: Working Together – Building Business” at the headquarters of China Construction America in Jersey City, NJ. 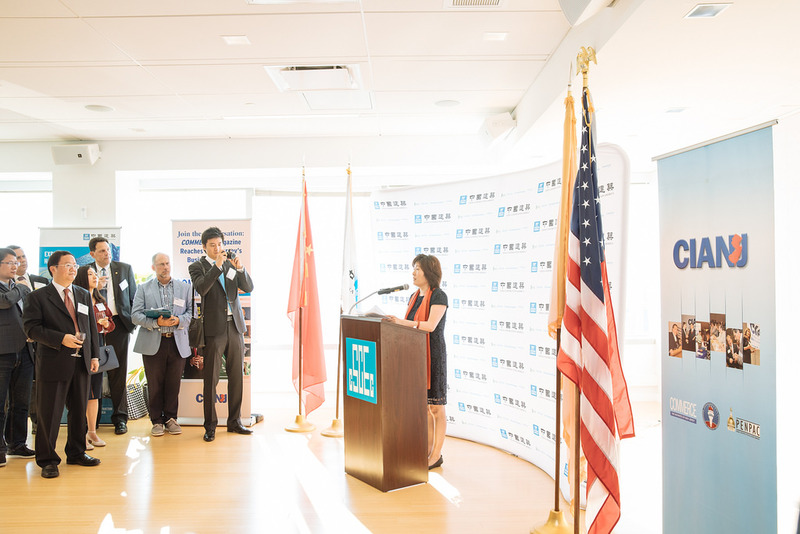 Consul General of the People’s Republic of China in New York Zhang Qiyue, Assemblyman and Deputy Speaker of New Jersey Legislature Gordon Johnson, and Mayor of Jersey City Steven Fulop addressed the event. Chairman of CGCC and President and CEO of Bank of China USA Xu Chen, Chairman of CIANJ Andrew Silverstein, and Board Member & Senior Advisor to Chairman of China Construction America James Simpson delivered welcome remarks. 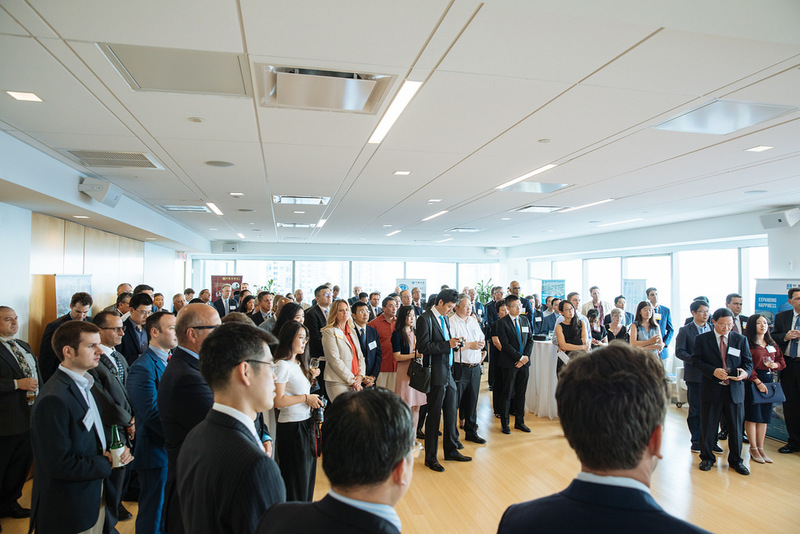 More than 100 representatives from over 80 New York and New Jersey enterprises and institutions joined the event and discussed cooperation opportunities from trade and investment to environment and education. 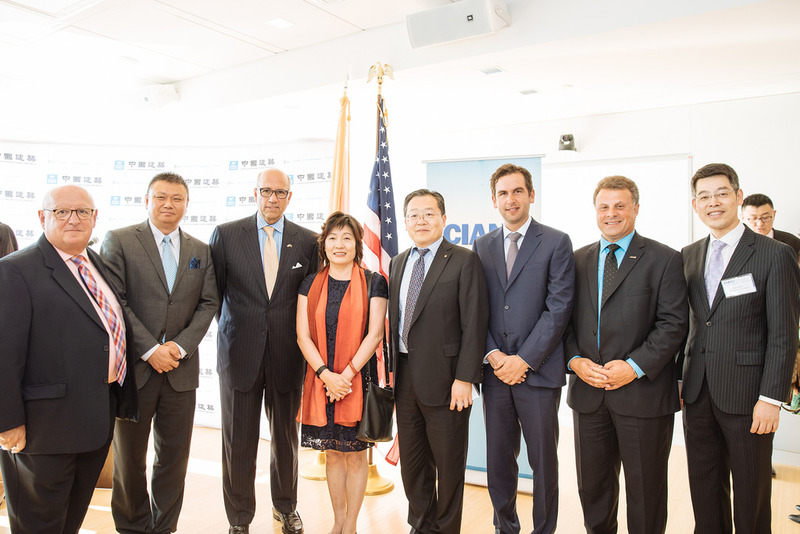 CGCC would like to express our sincere appreciation to Consulate General of the People’s Republic of China in New York and China Construction America for their support to this event. We welcome your feedback! Please email contact@cgccusa.org. 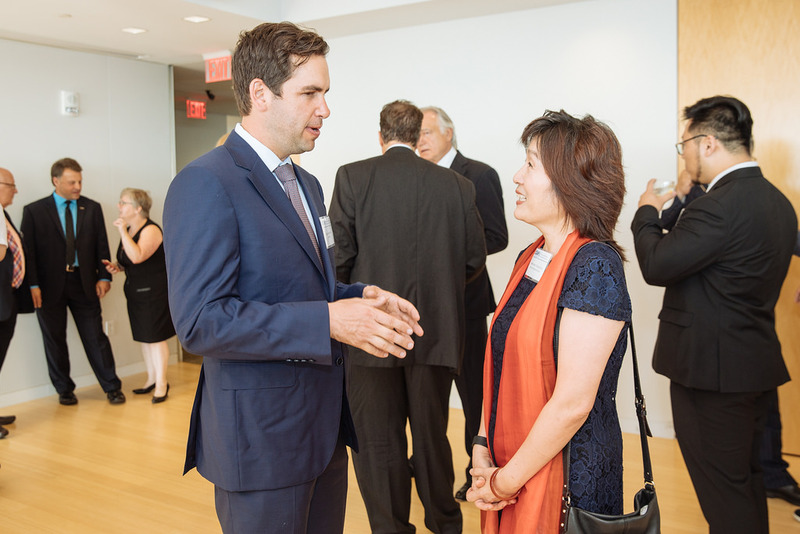 After the event, participants toured the China Construction America Park | Shore Sales Gallery. Based on its superb location directly across the Hudson River from lower Manhattan, Jersey City has become known as the “Sixth Borough” of the New York City or “Wall Street West.” Situated at the commercial and residential center of the city and adjacent to a variety of transportation options, Park and Shore represents a rare opportunity to add an upscale residential complex to this undersupplied condominium market. 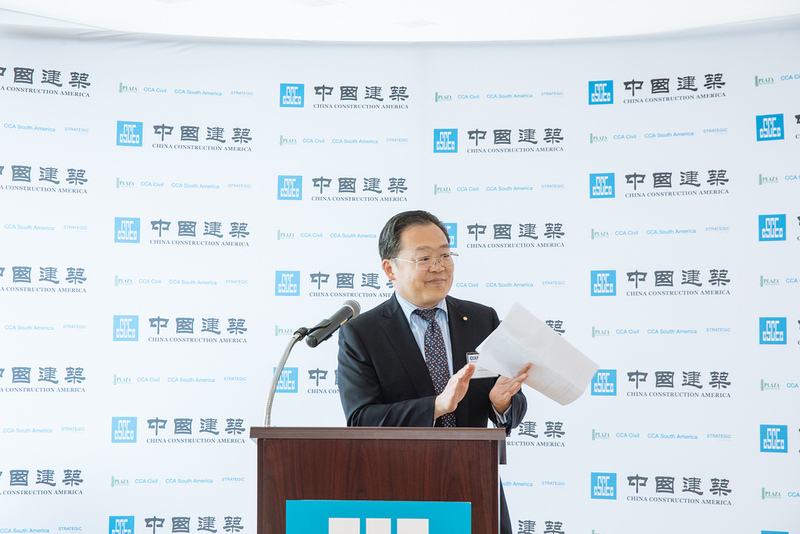 Upon completion, the properties will provide the increasingly affluent community with not only luxury condo inventories and state-of-the-art amenities, but also retail and entertainment facilities that enliven the waterfront community. Park and Shore features two luxury condominiums – 75 Park Lane and Shore House. The two buildings are situated on adjacent blocks and will each offer a unique mix of residences as well as share a suite of top-tier amenities. 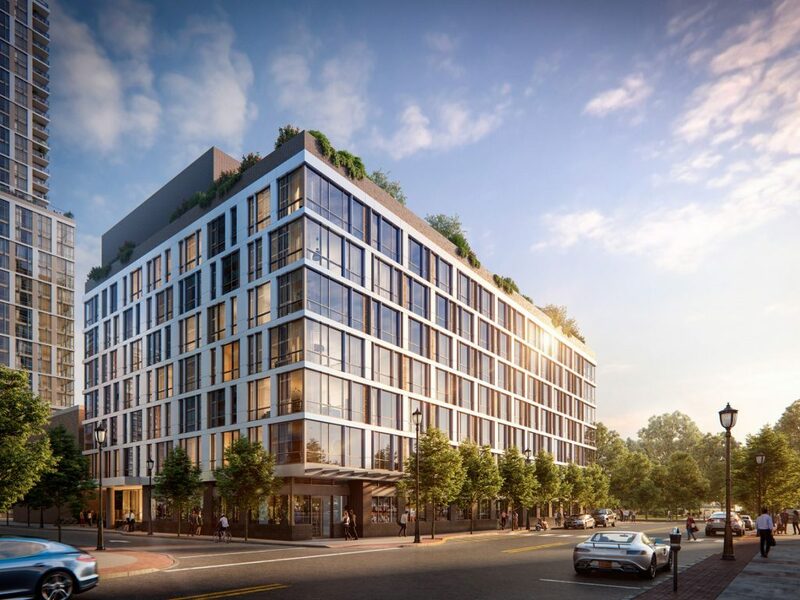 Set to become Jersey City’s preeminent condominium residence, 75 Park Lane will feature 358 elegantly designed residences with a diverse mix of floorplans ranging from studios to three-bedrooms, as well as spectacular penthouses. At 37 stories in height, the views of the Hudson River and Manhattan skyline at 75 Park Lane will be unparalleled in Jersey City and a defining feature of the waterfront condominium. Situated across the street to 75 Park Lane, Shore House features the industrial luxury style found in Tribeca and Brooklyn and is comprised of 71 meticulously designed one- and two-bedroom residences. For more information, please visit http://www.parkandshore.com/. 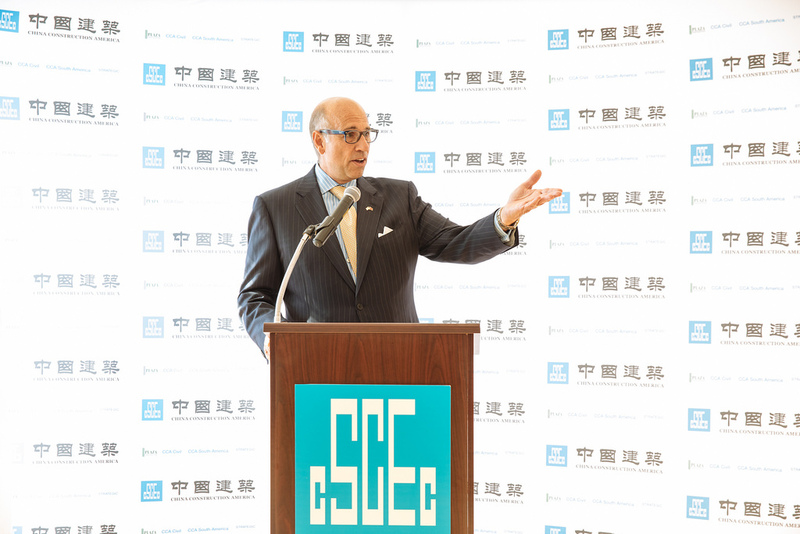 Founded in 2005, the China General Chamber of Commerce – USA (CGCC) is the largest nonprofit organization representing Chinese enterprises in the United States. 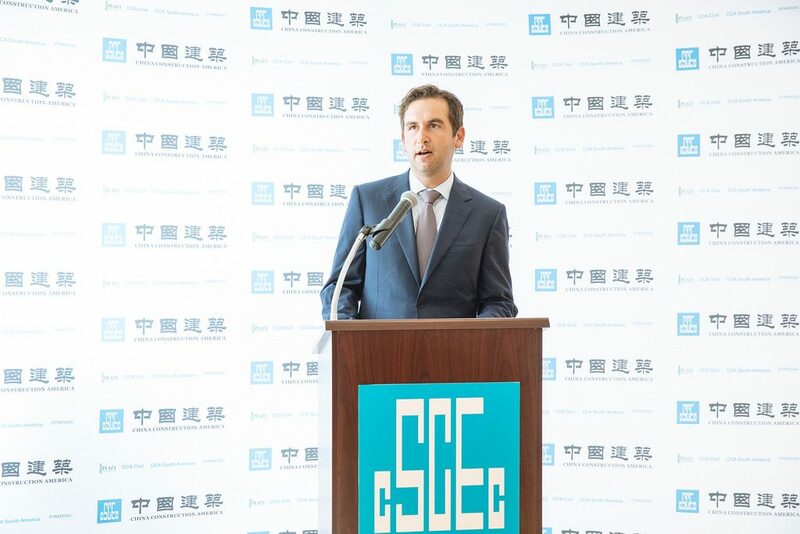 CGCC’s mission is to promote Chinese investment in the U.S., to advocate policy and legislation on behalf of its members and to enhance cooperation between the Chinese and U.S. business communities. Today, CGCC membership extends to more than 1,500 companies, 53 of which are ranked in the 2017 Fortune Global 500. 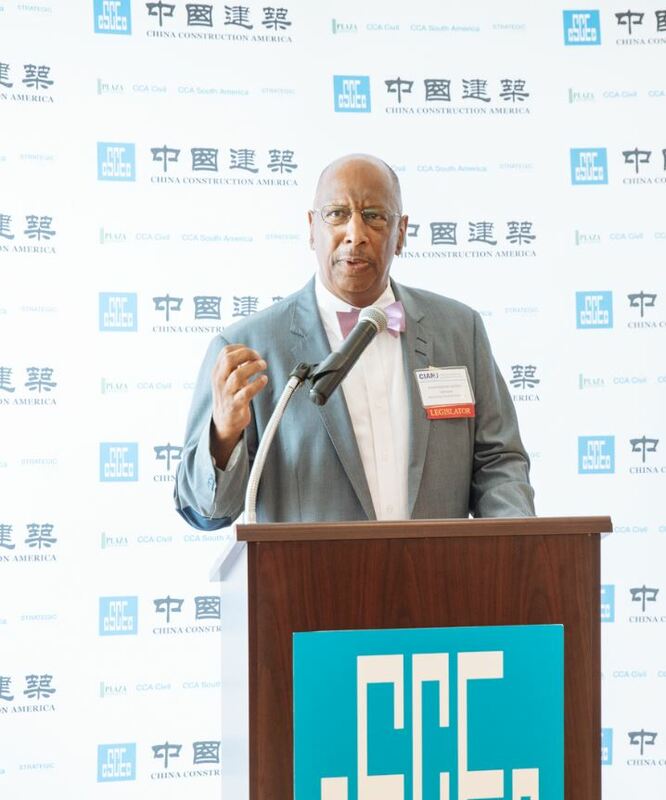 By the end of 2016, CGCC Chinese member companies employed over 200,000 people in the U.S. labor force and invested approximately $100 billion in various industries throughout the United States. The Commerce and Industry Association of New Jersey (CIANJ) is the premier general business advocacy group in New Jersey. The mission of CIANJ is to be the leader in free enterprise advocacy for the purpose of fostering, through education, legislative vigilance and membership interaction, an economic climate that enhances business potential and makes New Jersey a better state in which to live, work and conduct business.